The Modicon M221 is a Nano PLC made to control basic automation for machines. Programs with SoMachine Basic software. Uses TM3 expansion I/O. Achieve benchmark performance while increasing profitability with the Modicon M221 Programmable Logic Controller (PLC). 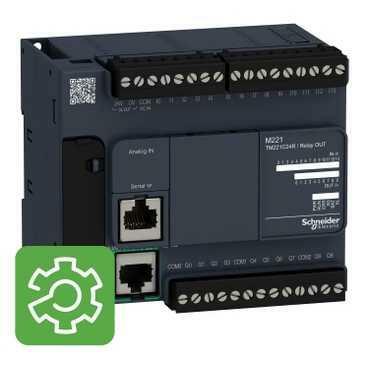 Available in both standard and book formats, the Modicon M221 PLC offers best-in-class performance while requiring minimal installation and offering instant access to maintenance and machine visualization. The M221 programs with SoMachine Basic which can be downloaded free of charge. It's also included with the full version of SoMachine software. 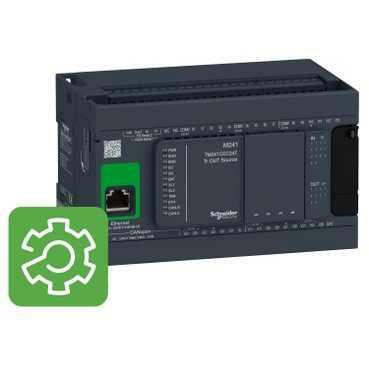 The Modicon M241 is a Micro PLC made to control more advanced automation for complex and modular machines. Programs with SoMachine software. Uses TM3 expansion I/O. 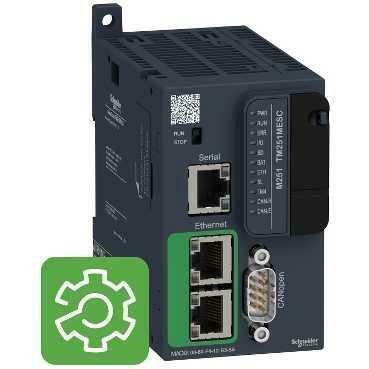 The Modicon M241 is a Micro PLC designed to handle more advanced machine automation with a mixture of hardwired I/O and automation bus/communications with devices such as drives, motion, remote I/O and HMIs. The M241 has generous offer of Serial, Ethernet and CANopen communication ports in addition to USB and SD provisions. It's available with either 24 or 40 I/O points and is expandable with TM3 I/O modules to handle up to a few hundred I/O points. The Modicon M251 is a Micro PLC made to control multiple or larger machines with modular local PLC control. Programs with SoMachine software. Uses TM3 expansion I/O. 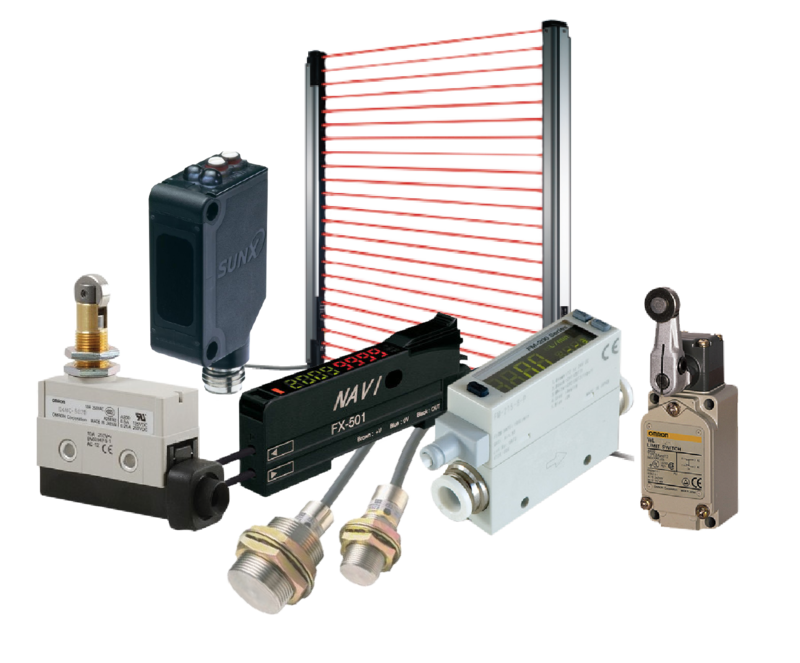 A compact micro PLC designed to handle more advanced machine automation as a master of communications. It has dual-channel support for Serial, Ethernet and CANopen based communications to handle both upstream and downstream communications. It's designed to control devices such as drives, motion, remote I/O and HMIs as well as to be the master controller for multiple other PLCs. It is expandable with TM3 I/O modules to handle up to a few hundred I/O points.